Pablo Escobar's Medellín Made into... a Night Club?! Pablo Escobar’s Medellín Made into… a Night Club?! 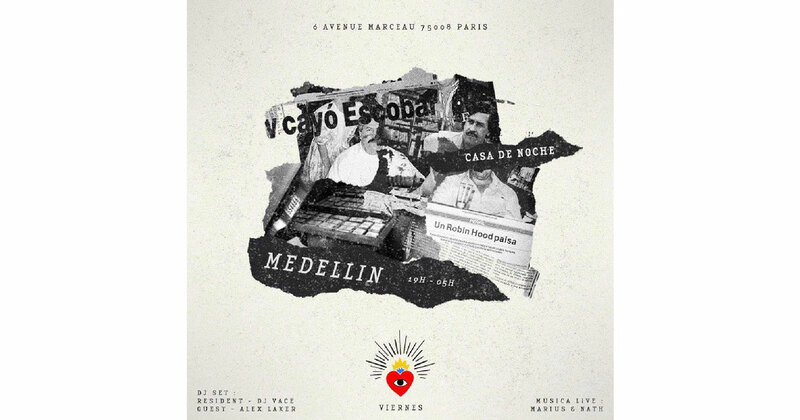 A few months ago, the night club Le Medellín opened in Paris. Normally, this would not qualify as news, but the bar’s theme makes it stand out from other nearby nightspots. 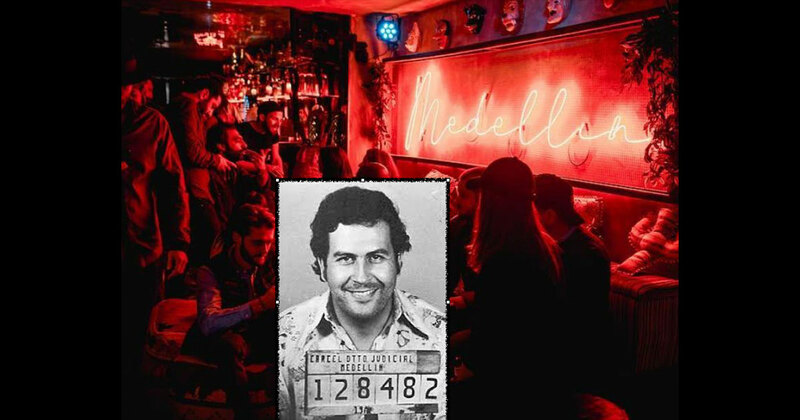 Le Medellín is a club in the style of the late drug smuggler Pablo Escobar. Though Escobar died in the 90s, his popularity continues to grow. You may have heard about Pablo Escobar and his operations in Medellín, Colombia. Recently, Netflix’s original series “Narcos” has revived interest in the iconic mafioso’s life. There has always been a fascination with his cartel, and a loyal following certainly venerates him for his contributions to Medellín’s economic development. For some, this interest in Escobar’s life now borders on obsession, so much so, that the idolization of one of the most well-known outlaws has seeped into the hospitality and events business. Even the infamous “Fyre Festival,” which has been the subject of two recent trending documentaries, at one point, publicized the festival’s venue as an island formerly owned by Pablo Escobar. The “cocktail bar” (as described on Google Maps) Le Medellín, nestled in La Rive Gauche just a few blocks away on the Seine, was an overnight success. Replete with fancy schmancy décor and a theme à la Pablo Escobar, its triumph was guaranteed. Celebrities and local jet-setters flocked to the club, leaving a long line of patient hopefuls behind the velvet rope almost nightly. Many, including local Colombians living in the French capital, have criticized the establishment and its proprietors for celebrating a monstrous crook. An online petition with over 5,000 signatures includes statements like “It’s disrespectful towards Colombians. They’re not thinking about the thousands of victims that have died during the cartel wars!” Critics have also noted the offensive artwork featuring bullet holes, famous quotes from Escobar on the walls, and not to mention the intense “noise nuisance” coming out of the building. Audren Dimitri, the owner of Le Medellin, defends his club by saying that his ultimate mission is to “celebrate South American music and culture.” Whether that is indeed being highlighted in his establishment, you be the judge on your next visit to the City of Lights.